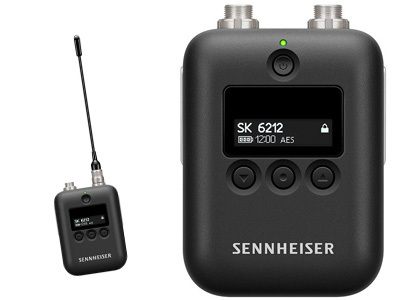 The SK 6212 is an ultra-light, digital mini-bodypack for discreet but maximum performance on stages during musicals or theatrical performances and broadcast applications. Regardless of the type of musical performance, the SK 6212’s operation is secure, reliable and discreet. With 12 hours of battery life, the battery is designed for even the longest day of rehearsals. Weighing only 112 grams and with dimensions of just 63 x 47 x 20 mm, the SK 6212 is easy to conceal and has no annoying corners or edges. The antenna and battery are exchangeable, and an intuitive control concept with display and control buttons enables direct adjustments on the device. The newest member of the Digital 6000 series is also intermodulation-free in its transmission. Even in really difficult RF environments, the equidistant frequency grid permits easy and highly efficient channel configuration. 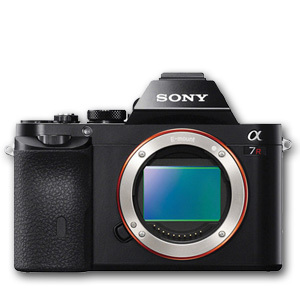 It can also be combined with Digital 9000 and the EK 6042 in long-range mode. The legendary Sennheiser Digital Audio Codec (SeDAC) guarantees clear, artifact-free sound and optimum dynamics. The best show is and will remain the sum of its finest details. This is an idea which the SK 6212 has taken from professionals on the world’s stages, big and small. For example; the easy operation, or the easy-to-read display. The multiple attachment options or its seal against moisture. The fact that the display glass has been lowered by 0.3 millimeters – and several other details which make everyday life easier for both technicians and performers. Developed for high expectations, not for compromises.